I apologize for the click-bait-y title, but seriously, this is the best sewing tip I’ve learned in the past year. 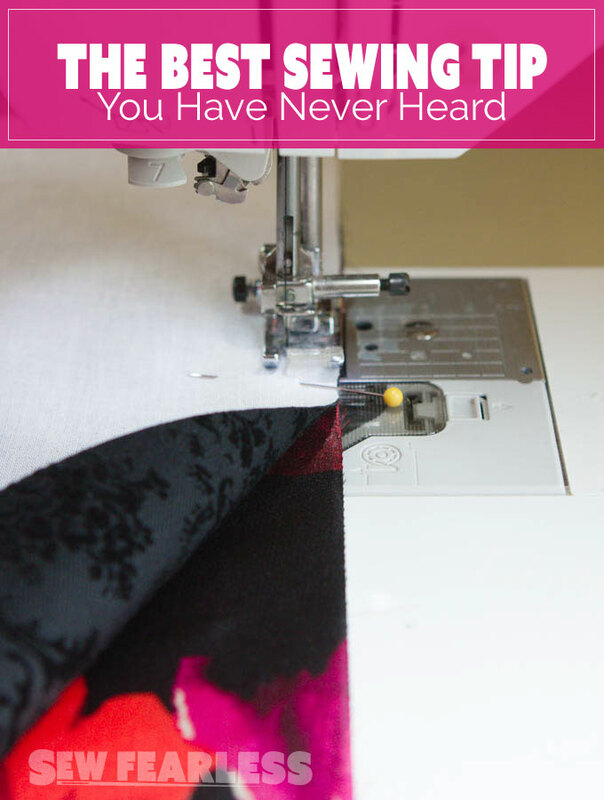 Of course, you may have learned it the first time your mama sat you down in front of a sewing machine, but I was sewing for 9 years before someone clued me in. Forgive my assumption, but this is a game changer for those that haven’t heard yet. Have you ever perfectly lined up your fabrics and pinned them properly to only have the top layer shift forward on you while sewing the seam? This used to drive me bonkers. I found myself compromising by using a walking foot more often than was probably necessary. Then I learned this tip that solves the problem 9 times out of 10. 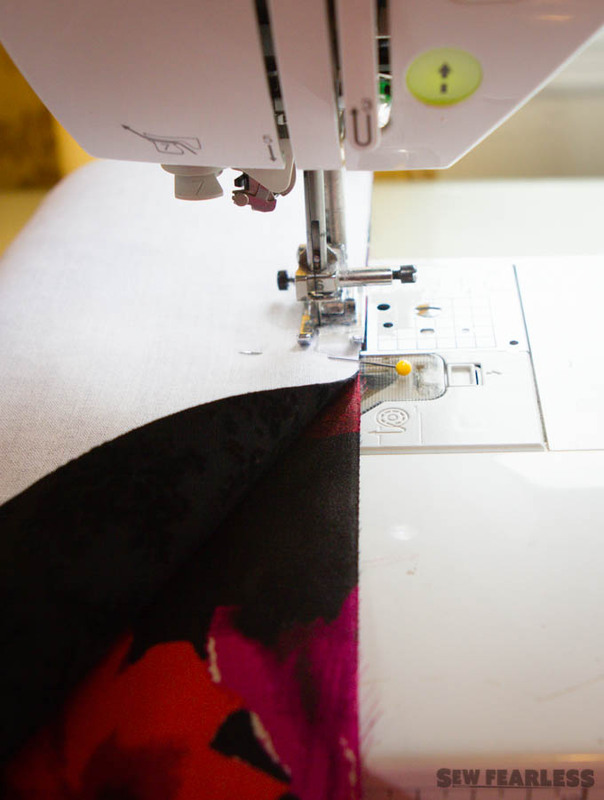 Sewing Tip: If you put the most stable layer of fabric on top, your seams won’t shift and pucker. What do I mean by “most stable layer on top”? The heavier fabric goes on top of the light fabric. 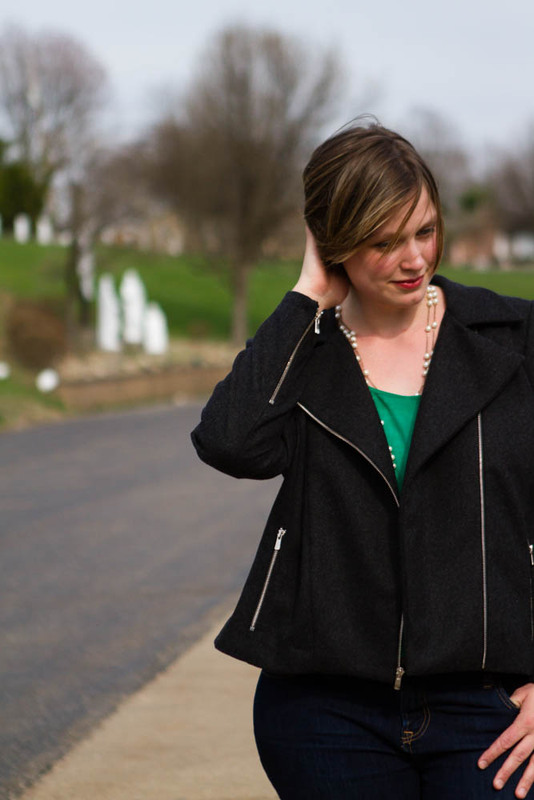 A woven layer fabric goes on top of a knit layer. The stabilized layer goes on top of the unstabilized. The layer sewn flat goes on top of the layer that is gathered or eased. The bag exterior goes on top of the bag lining. Sewn like this, the flimsier bottom layer is eased under the presser foot by the feed dogs on the bottom and is also held in place by the more stable layer on top, and it won’t shift. Have you heard of this tip? Have you found it as helpful as I do? I learned this tip when I was doing some investigating on how the feed dogs work. I am glad you brought this up, though, because it is such a game changer when sewing layers of fabric. Another thing that always has bugged me (and I am still looking for a solution) is how to start a seam at the edge of thin or slippery fabrics? The feed dogs have a hard time gripping this type of fabric and I never can make a professional looking backstitch when I am starting the seam. Any thoughts? 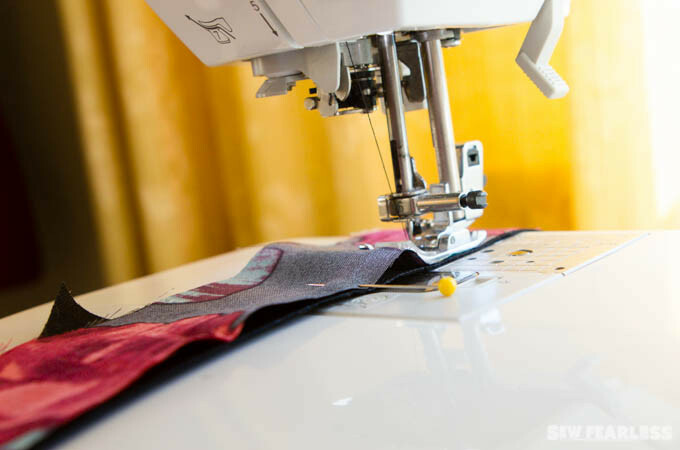 Have you tried using a small piece of fabric in front of what you want to sew then when it goes on to what you’re working on you can go ahead and backstitch a few stitches then go on. Once done, then just snip off the beginner fabric. I was going to reccomend what Ruth suggested. Also making sure you have a smaller needle. I also like holding the threads taught when I’m starting. I love Wonder tape and I *wonder* (ha!) now that you mentioned this if it would stabilize the ends enough to prevent this problem too. See comment below on leaders and enders – same idea, using another tiny piece of fabric to get things going. Good luck. Wow I never knew any of these tips. Thank you. What. This is counter-intuitive!!!! I’ll definitely be trying this. Thank you so much!!!! One I learned was ‘baggy bottoms’ When easing remember baggy bottoms. Again feed dogs will help to ease the fabric. I’ve recently learned that many “organized” quilters do something called leaders and enders. They have precut square next to their machine to use for a scrap quilt. They start with a pair of these then stitch onto their project and then partially stitch another set of squares. This leaves something in the machine for the next time! I always thought that the layer that is the most taut would be on top. This would ease it into the flimsier layer on the bottom. But good definitions on your examples. Thank you! I did not know that. I never understood why sometimes it would move and other times it sewed up nicely. Thanks for keeping it simple too! these are great tips I’m writing down. they need to be on my wall in front of my sewing machine. Thank you. wonder why I came to this today. I guess, cause I needed to know:) thank you. another helpful thing I found was on A-line type garment felled seams…(second stitching on a felled seam) start at the narrow part on top work toward the bottom, there is a little more control and fabric not so likely to warp when sewing .